THE recent announcement by the government that a new private pension scheme targeting two million self-employed Malaysians, which would be launched by next year, certainly would provide opportunities for people in that category to have a better life post-retirement. Given that Malaysians now generally have a longer life expectancy, the quality of life post-retirement hinges on how a person plans his or her retirement and how well the plan is executed. Having huge golden eggs for later days would be more critical to Malaysians, given the cost of maintaining a decent quality of life. It is also important in order to ensure that we have access to quality medical care of which the cost will continue to grow as time passes. While the model is still being studied by the government, retirement funds are not something new in Malaysia, even for the category that is supposed to be covered by the new scheme. Insurance companies have been offering retirement plans in many forms and structures. Perhaps, what the government wishes to see is a more structured and regulated pension scheme which would encourage more people to have retirement plans and able to enjoy quality retirement. Having a large pool of funds under the proposed scheme would certainly be a positive development for the capital market. It would certainly complement other big investors such as the Employees Provident Fund (EPF) and Armed Forces Fund Board as the provider of capital to companies listed on Bursa Malaysia. What is clear from the statement by Minister in the Prime Minister’s Department Tan Sri Nor Mohamed Yakcop is that the new pension scheme would be a private sector initiative and would provide market-based returns. This would also send a signal to Malaysians that while the government provides a safety net such as the EPF, we should be more responsible in planning our own retirement, especially if we wish to maintain the same quality of life we enjoyed while working. Having access to quality advice in considering options in creating our golden eggs would be another part of the jigsaw puzzle which needs attention. For example in Australia, to complement the Self-Managed Superannuation Fund scheme, Australians at large rely on their accountants and financial planners for advice. These people are regulated by the Australian Securities and Investments Commission. Given the maturity of the industry in Australia, financial planners, among others, provide advice on how to structure the investment which would provide returns that could support the investment objectives of their clients, especially their retirement plans. The fee structure is also changing from percentage of funds under management to fees for advice. While the financial planning industry exists in Malaysia, the number of independent planners is still small. Most financial planners are backed by institutions which are offering products in the market. Even the number of accountants who are involved in financial planning is small. This could be due to the licensing requirements which are perceived to be a burden by practising accountants and the financial returns that they could receive from providing financial planning services. Perhaps in looking at the model for the pension scheme, the authorities could also consider the supply of independent and competent advisers to ensure contributors to the scheme are doing so with open eyes. Financial literacy among Malaysians needs to be enhanced to ensure their awareness of the risks and rewards in making investments. Considering the number of reported cases of investors being cheated through “get-rich-quick schemes”, more needs to be done to provide knowledge and awareness of investments to the general public. Professionals such as accountants and financial planners need to be more involved in this effort and not wait for the government to press the panic button before starting to do something. The more involved you are in educating the community; the more relevant you would be to the market. Another issue that has surfaced through this debate about pension schemes is elderly care. As our life expectancy grows due to better quality of life and medical care, we need to be prepared to have more Malaysians living beyond the retirement age. As the lifestyles and social behaviour of Malaysians change, elderly care would be an industry that would grow. We also need to consider the physical and other supporting infrastructure such as social support and specialised homes for Malaysians who have reached their golden years and are less active. Given retirement is the last phase of life for everybody, the quality of life of those in this category is dependent on the golden eggs carried by them from their working days. The pension scheme as proposed by the government would certainly add colour to that phase of life. However, more importantly, we need to ensure the golden eggs being laid would be hatched at the right time and preserved, and their contents should be as promised! IAS 39 – Would the proposed improvements meet expectations? The International Accounting Standards Board (IASB) last week issued the exposure draft on classification and measurement of financial instruments, as part of the project to improve International Accounting Standard No 39 (IAS 39), which governs the accounting treatment of financial instruments. The complexity of accounting for financial instruments with different classification categories and impairment methods has been associated with the financial crisis by some governments in the G20. In responding to recommendations made by the G-20 and the Financial Stability Board, IASB has come up with a three-stage programme to address concerns around IAS 39. The first part of the programme is the simplification of classification and measurement basis as proposed by this exposure draft. Exposure draft on Impairment Methodology is expected to be issued in October and the one on Hedge Accounting should be available in December. IASB intends to cap the measurement basis of financial instruments into two categories — amortised cost and fair value. A financial instrument would be accounted using the amortised cost if it meets two criteria. First is whether it has a basic loan feature, contractual terms that give rise to cash flows from payments of principal and interest on the principal outstanding. Second is whether it is managed on a contractual yield basis — this is whether the business model is to pay and receive contractual cash flows that are generated when held or issued. Financial instruments which do not meet the criteria to use the amortised cost method would be accounted for using fair value method. 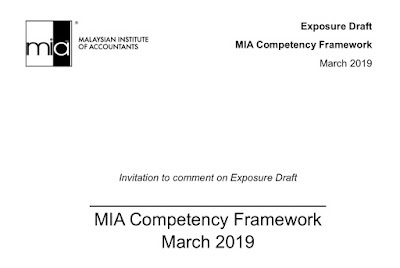 The exposure draft also retains the fair value option that permits an entity to elect at initial recognition to measure any financial asset or liability at fair value through profit and loss if such designation eliminates or significantly reduces a measurement or recognition inconsistency. Another interesting proposal is the requirement for all investment in equity instruments (and derivatives in those equity instruments) to be measured on fair value. The exemption on not quoted equity has been taken away. Given the IASB has used decision-usefulness as the overriding principle in taking away the exemption, it recognises that there would be additional cost to preparers but the IASB feels this is outweighed by the benefits to users of financial statements. The decision to do away with the exemption would certainly bring more companies within the ambit of the standards. Given that IAS 39 has always been cited as a complicated standard to implement, we in Malaysia should take this opportunity to be involved in the improvements of the standard. It would be great for sectors which are affected by the standard such as the financial services and companies with huge investment portfolios to identify issues that may be brought by the improved IAS 39 and proposed solutions to IASB. While the concept appears to reduce some difficulties in the past, the test is always at the implementation stage of the standard. Who else would be in the best position to provide feedback if not those that would have to apply it? As of today, IAS 39 has been issued in Malaysia and named FRS 139. It would be effective on Jan 1, 2010. Another question that may need to be answered is whether we will apply the “improved IAS 39” next year or implement the existing FRS 139? By applying the improved standards, the benefits would be experienced immediately. However, past experience suggests that there is merit to observe how the standard fares in other jurisdictions before we pick it up here. We could be in a better position to decide which way to go once the other instalments of the improvements as mentioned earlier are exposed and decided upon. Given that Malaysia has decided to converge with the IFRS by 2012, we should also learn to move at par with the world. Therefore, it is very important for us to view proposed changes to the standards differently from how we used to treat them in the past. Perhaps audit committees should include developments of accounting standards as a fixed agenda as there would be higher frequency of changes and developments, moving forward. This would ensure the implications and implementation issues are identified and appropriate actions are taken to ensure the financial reporting quality is maintained. This includes ensuring continuous training among the financial reporting team and improvements in the accounting system to cater to the changing standards and reporting requirements. We have a clear opportunity to shape one of the challenging accounting standards by providing our views and feedback on the exposure draft on IAS 39. While some may prefer to remain on the side and criticise, those who decide to be involved seriously would be the ones who would make the difference. Which group do you think you are in? Malaysia in not a member of G-20 and therefore the Malaysian Institute of Accountants (MIA) would not be present at the G-20 Accountancy Summit in London which is organised by the International Federation of Accountants (IFAC). However, this does not mean that MIA's views would not be articulated during the summit. The Indonesian Institute of Accountants or Ikatan Akuntan Indonesia (IAI) has sought the views of the members of Asean Federation of Accountants (AFA) so that the region's position would be presented. This is a very noble offer by IAI and it is in line with the Asean spirit of working together to prosper Asean member countries as a group. As the views of the accounting bodies within the G-20 countries would be submitted to the various working groups before the next G-20 meeting in September, the opportunity offered by IAI enables non-G-20 accountancy bodies like MIA to extend our views and ideas to this powerful economic grouping. The decisions made by this grouping would affect all of us as they would be executed through global bodies such as World Bank, IMF and other similar strong and influential institutions. Such regional cooperation demonstrate the merit of organisations like AFA which enables like-minded accountancy bodies in Asean member countries to discuss issues of mutual concern and pursue initiatives and projects which would alleviate the accountancy profession in Asean. MIA would assume the Presidency of AFA in November this year. My recent visit to Tunisia was really an eye opener. The task was to promote the World Congress of Accountants which MIA will be hosting next year. The opportunity came when I was invited to attend the 11 International Conference organised by the Orde des Experts Comptables de Tunisie or the Tunisian Institute of Chartered Accountants (OECT). 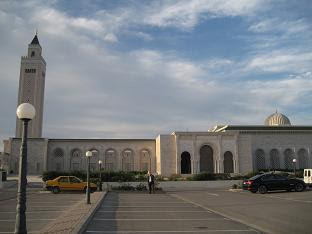 Firstly, Tunisia, although is a country where 95% of the population are Muslims, is really French at heart and soul. Most bright and brilliant Tunisians would go to France to further their education. French is widely spoken although Arabic is also used intermittently. Secondly, given the historical background of Tunisia, the Tunisian society is very tolerant given that most are mixed-blood. They are proud of being at the crossroad of civilisation, between developing Africa and matured Europe. 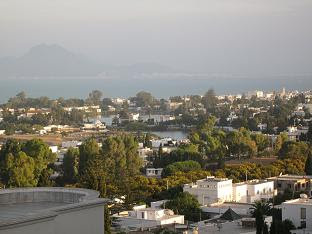 Thirdly, Tunisia is blessed with beautiful landscape and the Mediterranean climate. The sea is blue and clear, strategically positioned to welcome tourists from Europe and other African countries, as a very competitive cost. Like any other developing country, Tunisia is having the challenge of retaining its best brains. Given its proximity to Europe and low cost of living, smart and brilliant Tunisians see Europe as their green pasture instead of remaining at home. This also creates opportunities for knowledge-based business like Business Process Outsourcing as well as developing further its tourism industry. My presentation about the World Congress of Accountants was well received. I hope hugh number of Tunisians would be in KL next year. We could also use that opportunity to create more business linkages with this land which is at the crossroad of civilisation.